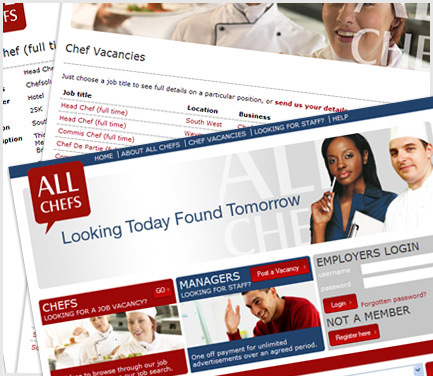 To take Chef Solutions' existing offline Chef recruitment business online and help promote the new All Chefs service, allowing it to be found by potential customers. 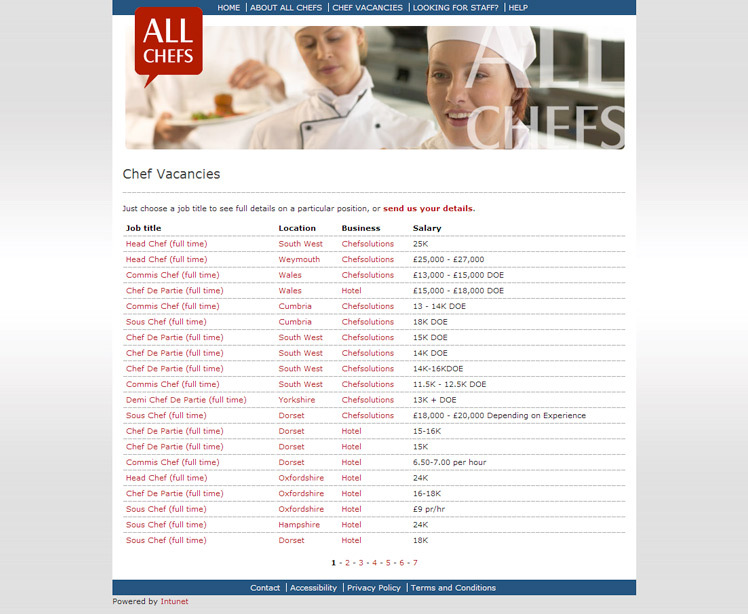 Intunet created the All Chefs recruitment site from scratch, allowing them to extend their existing recruitment business online with the minimum of cost and effort. Post site-launch we did competitor analysis and search engine optimisation to identify and implement areas for improvement. 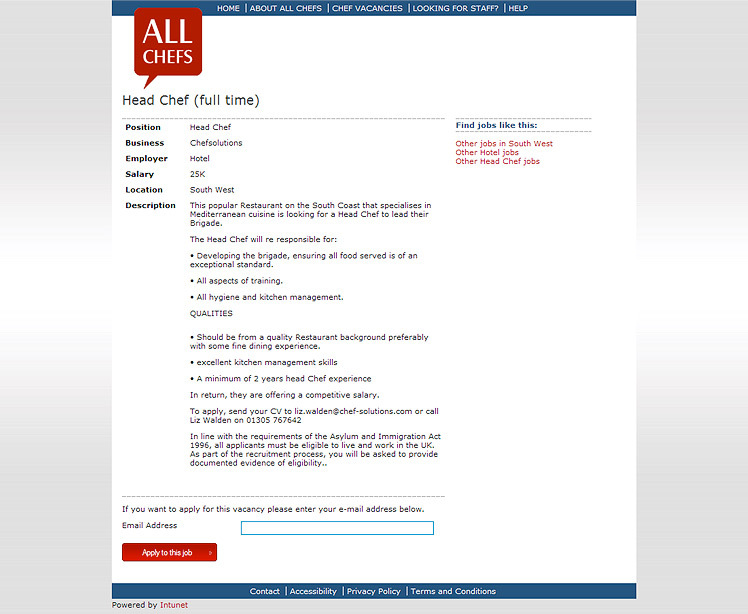 This resulted in a research and recommendation document for All Chefs. 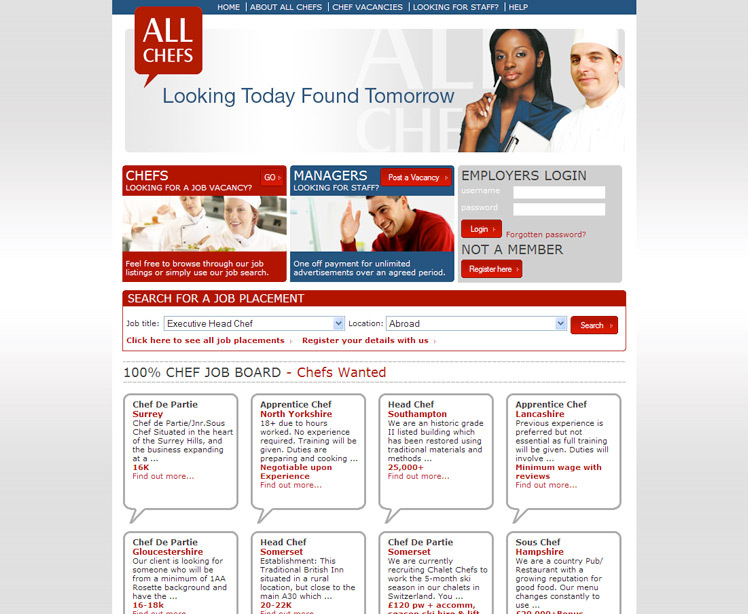 It also allowed employers to manage their adverts without the involvement of All Chefs staff - saving time and money. The post-launch competitor analysis and SEO work improved the findability of jobs on the site by search engines and users by providing contextual navigation features. This allowed users to find other jobs similar to ones they are interested in by location, industry and position - and provided specific keyword-rich pages as targets for search engine queries.